Ooh! 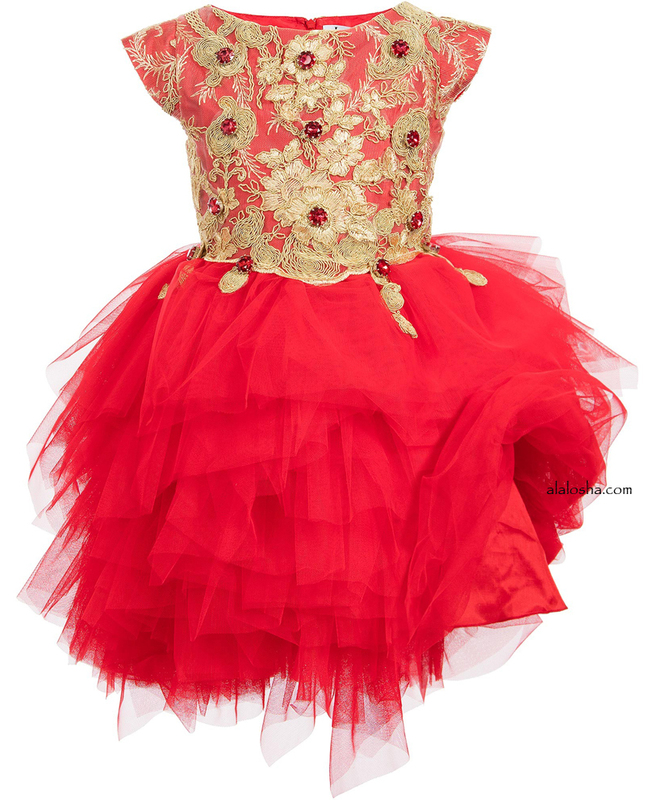 This would be an awesome party red and gold embroidered tulle dress by Lesy Luxury Flower for your little princess. 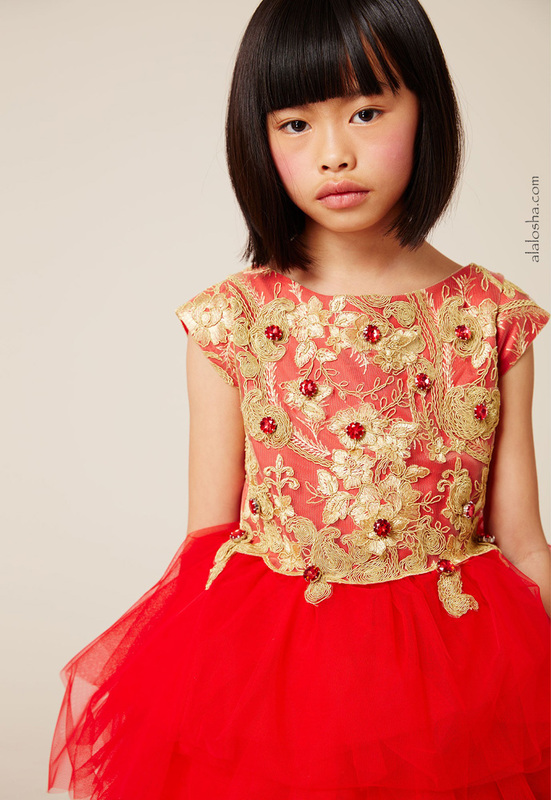 Girls red and gold embroidered tulle dress by Lesy Luxury Flower. 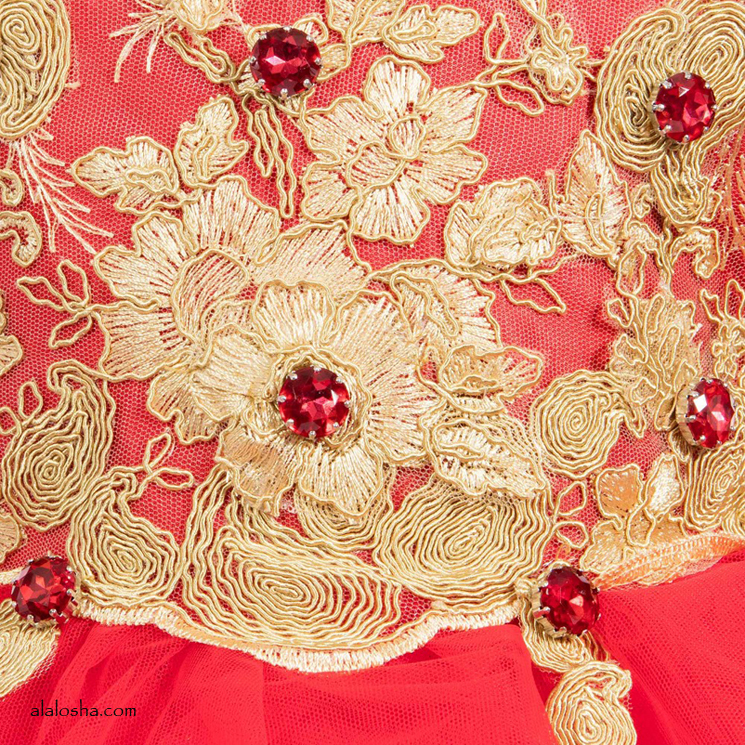 This stunning design has a fitted bodice, embroidered with intricate gold floral appliqué and large red jewel embellishment. 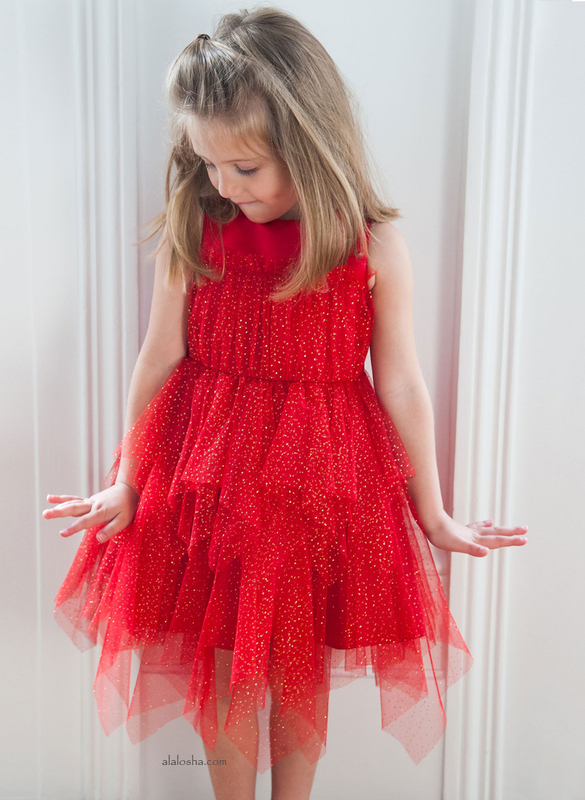 The skirt is made from layers of soft red tulle, cut in asymmetric layers, to create an uneven hem. 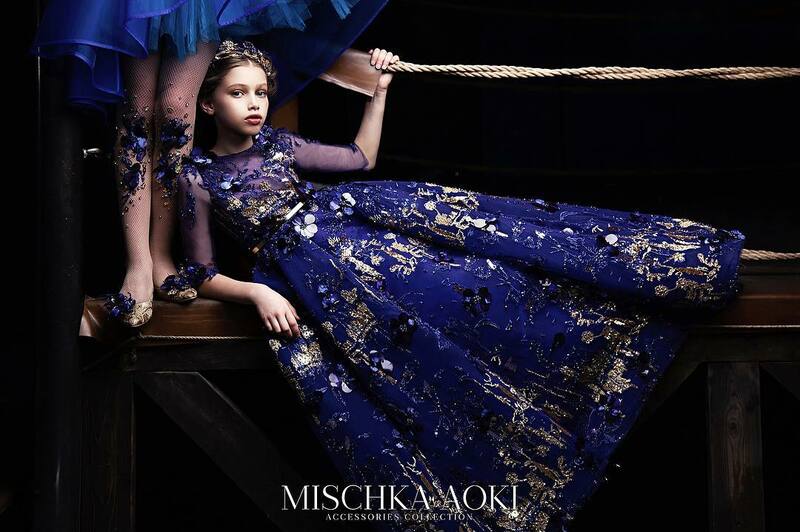 The dress does up at the back with a concealed zip at the back and is fully lined in satin.